Zync Z919 is the latest from the makers in the seemingly never ending race amongst the budget Tabs. 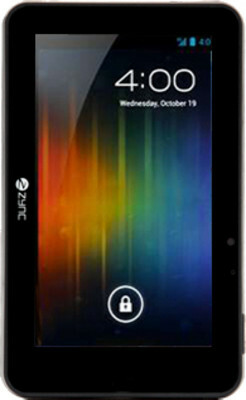 In the sub 5k category, this Tablet PC is a usual 7 inch LCD TFT Tab which runs on Android ICS version. With 1.2 GHz processor and 512 MB DDR3 RAM the Tab is a fair buy, if you are not much into heavy gaming. The display is a crisp 800×480 pixels which makes the video shows on it a good experience.